Jakarta blues: Dhume says the common person in Indonesia is no longer safe. The thousands of islands that make up Indonesia—the nation that was international affairs specialist Benedict Anderson’s original “imagined community"— lie scattered in an area where Indic influence ends and Sinic Asia begins. Its hundreds of ethnicities view themselves differently and each island likely possesses its own distinct culture. Its diversity has attracted writers who have tried to make sense of that complicated whole. For journalists who worked for the Hong Kong-based Far Eastern Economic Review(Feer), once a weekly magazine and now a monthly journal (where I worked, at its Singapore and Hong Kong bureaus and for which I continue to write), Indonesia holds particular fascination. Former colleagues Hamish MacDonald (Suharto’s Indonesia, 1981), Adam Schwarz (A Nation in Waiting: Indonesia in the 1990s, 1993), and Michael Vatikiotis (Indonesia Under Suharto: Order, Development and the Pressure for Change, 1992) have written engrossing narratives about Gen. Suharto’s 32-year rule. The striking feature that emerges from the books is Suharto’s personality, of how he skilfully used Javanese intrigue to establish firm control, forging a national identity. While he ruled Indonesia like any other brutal dictator, he also invested heavily in development projects— increasing food output, spreading literacy and significantly improving access to health care (he was called, not entirely unreasonably, bapak pembamgunan, or the father of development). 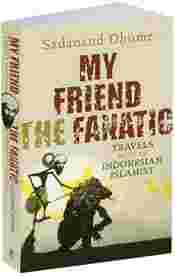 My Friend the Fanatic: Text Publishing,320 pages,$34.95 (Rs1,550). Writing Among the Believers (1982) and later Beyond Belief (1999), V.S. Naipaul implied that Indonesia would become like any other Muslim country. But Naipaul wrote with an air of superiority, moral certainty and self-righteousness, and combined it with such contempt for those who had changed their faith (Naipaul has deep disdain for the “converted"), that it simply did not ring true. I have lived away from that region for nearly a decade now. And that world changed, as my former Feer colleague Sadanand Dhume now reveals, in this sobering narrative, My Friend the Fanatic: Travels with an Indonesian Islamist. That “land under the rainbow", as Mochtar Lubis described Indonesia, is now the land atop a volcano. Or not. To be sure, nothing in Indonesia is what it seems at first sight. For a culture that narrates its epics through hints and allusions, using shadow puppetry (called wayang kulit), if something appears straightforward, look again: And you will discover a more complex meaning. Dhume has lived four years in Indonesia and travelled across the country. He speaks Bahasa Indonesia and is an acute observer of subtleties that separate one kind of Indonesians from another. He argues, usually convincingly, that too many foreign observers continue to see Indonesia with rose-tinted glasses; the base instinct that lets men behead children were always there, and Suharto did not really eradicate them. In fact, in his last decade, he encouraged some of those tendencies, making subtle shifts. However, because Indonesia was so different from other nations getting radicalized at that time—Iran immediately comes to one’s mind, with the Ayatollah transforming the lively Persian society into an ascetic Islamic one—it made many of us believe that its syncretic nature would always prevail. Dhume shatters those comforting certainties. Following the classic journalistic impulse—go to the town when others are fleeing—he reaches Legian beach in Bali, amid the smouldering ruins of the bar in October 2002, as tourists make an exodus from that island. He tries to unravel the mystery behind the bomb blast that brought Al Qaeda’s murderous reach to South-East Asia. Living in the expatriate cocoon of Jakarta, he tries to reconcile the liberated city he sees with the incipient rise of Islamic fundamentalism in Indonesia. He quits his job to figure out Indonesia. He does not do this alone. For company (and for access to militants), he brings Herry, editor of Sabili, a fundamentalist publication that believes the Bali blast was caused either by a thermonuclear device or missiles shot at from the sea; that the Jewish community controls the world; that Osama bin Laden is badly misunderstood and is basically a nice guy, if not a hero; and that there’s something distasteful about Jakarta’s hedonism. While Dhume vehemently disagrees with him on all these points—and does not hide his opinions from his readers, nor from Herry—he has enough empathy to note Herry’s contradictions, of how he may be a weekend liberal, trying to reconcile the propaganda that the fundamentalists have been preaching to him with his own humanity. Herry’s daughter’s name, for example, includes a Javanese name, one inspired from Sanskrit; while referring to “heaven" and “hell", Herry does not call them jannah and jahannam, but surga and nereka. It would be tempting to see in that choice of words, and in Indonesian electoral results (where Islamic parties haven’t been swept to power), signs of hope—that Indonesia’s essential tolerant nature will prevail. But Dhume is a pessimist. As he travels across Java, to Yogyakarta, Bandung, Bali, Balikpakan, Batam, Solo, Makassar, and beyond, he is underwhelmed by what he sees. Instead of tolerance, he sees suspicion; instead of openness to different ideas, he sees closed minds; instead of willingness to listen, he observes fatal certainties. Belief in faith does produce moral certainties and shuts out the spirit of inquiry. That would be bad enough: but Dhume is worried by the trajectory. 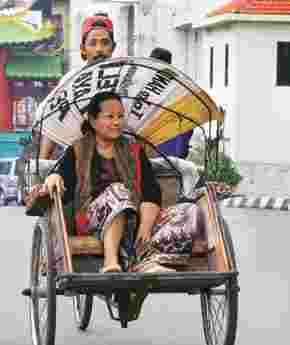 Some Indonesians want to get to another century alright—but not the 22nd, or 21st, but the seventh. For this, he blames the petrodollars from Saudi Arabia, which built masjids and pesantrens (religious boarding schools), and the appeal of the Muslim Brotherhood—in particular the works of Hasan al-Banna, Sayyid Qutb, and Maulana Maududi with ideas that are at once seductive for their simplicity, and alarming, because of the way they would transform Indonesia. Organizations such as Front Pembela Indonesia, Laskar Jihad, and Jemaah Islamiyah have taken Indonesian political discourse light years away from the more inclusive appeal of former Indonesian president Abdurrahman Wahid, who headed Nahadlatul Ulama for years. Their message appeals to many and, as Singapore-based social scientist Sharon Siddique has argued, it has helped Islamic parties, as part of a larger trend, in many Muslim countries where the Islamic alternative has appeared more credible after years of perceived corruption and mismanagement by the secular elite. Even if that is an inevitable democratic process, Dhume is right to highlight (as he does with painstaking detail) the creeping fundamentalism. With decentralization that followed Suharto’s ouster, Islamization of the more Muslim provinces has gone into full swing, and there is not much that Jakarta seems to be able to, or willing to, do about it. There is the spectre of churches getting attacked, Ahmadiyyas getting targeted, and districts forbidding women to walk alone after dark. A mother found with a lipstick in her purse is accused of being a prostitute. Dhume’s language is calm and lucid; the pictures he paints are vivid. But the land he writes about is no longer placid. He would be glad to be proved wrong, but it is time to take off those rose-tinted glasses. Salil Tripathi writes the fortnightly column Here, There, Everywhere in Mint; and a monthly column, Detours, in Lounge.